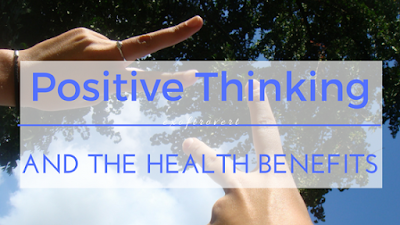 Positive Thinking and the Health Benefits - People lives side by side with others. All of the personal problem such anxiety, stress, depression, addiction, and worries too much about life, family, partners, children, co-workers, or even yourself, rise because we live side by side with others. Am I supposed to blame others? Of course not. What I want to say is that people worrying too many simple things according to what people see from others. First, be positive isn't that easy to deal with. Sometimes it easier to say "Forget it." or just blame yourself when the problem comes. But believe me that being positive isn't that hard though. Just try to be a child who never gets a headache for everything happen, like a child may cry for toys stolen by a friend but they'll forget it then will back for play together. Try to say that all is well, or even I love the line said, 'this too shall pass' from I don't know who. Believe that people have their own story and so you are the main character in your story. Everything you see from others outside is just like chocolate candy commercial break on television, you don't need to believe that candy is delicious enough to you when you have a toothache. Positive thinking described as a mental and emotional attitude that focuses on the light side and still expects a positive result for the future. Positive thinking let people happier because they are key to effective stress management, and effective stress management is associated with many health benefits. So, please, don't be pessimism, because pessimism is the killer of happiness. From mayoclinic, I get that effects from being positive thinking may provide include increasing life span, lower levels of distress, lower rates of depression, better psychological and physical well-being, better cardiovascular health and reduced risk of death by cardiovascular disease, and greater resistance to the common cold. At the other hand, people who have positive thinking usually feel grateful and merciful for what they have. And grateful feeling makes people feel warm inside their heart even if they're in trouble. Gratefully, simple ways to achieve happiness. So, let's be the positive thinker, Guys.